Why do planes, like the famous XF-11 and the Tu-95, have contra-rotating props? What is their purpose? If you use contra-rotating propellers, you eliminate the torque reaction problem because you now have two contra-rotating propellers each cancelling out the opposite's torque. Also you increase the speed of air accelerated by the propellers, thus the aircraft’s efficiency at relatively high travelling speeds is increased. Normally, the propeller can only be operated effectively at low Mach numbers and increasing the RPM above a certain point will only cause the air behind the propeller to compress but not accelerate. Using a second propeller with higher pitch angles can generate high enough airspeed without the problem of compression because the second propeller is rotating inside the airstream generated by the first propeller. Correction However, having a different speed and pitch WILL induce a torque effect. The main advantage of contra-rotating props is the increased efficiency (6 to 16% according to Wikipedia). Another advantage is that the torque is pretty much cancelled out by the contra-rotating prop, but this is much less of an issue in aircraft with an engine configuration like the Tu-95 in your post. I would say, another advantage is the fact that this design allows for a smaller propeller diameter, allowing a smaller landing gear, etc etc. The disadvantages may outweigh the advantages depending on the design. They are very complex. This may lead to high maintenance costs, or an unreliable design. Contra-rotating props are also extremely loud. The Tu-95 is known to be the loudest aircraft in the world. Rumors are that they can actually be heard by submarines. The fact that there aren't many aircraft using this design is proof that it isn't very popular. As far as I know, the only reason the Tu-95 doesn't use regular turbine engines is because there were no turbine engines available that would meet the required specification during the design stage of the aircraft. While there are theoretical benefits in terms of efficiency, the difficulties in gearing them have kept them from practical use except when used with very high powered engines. After a certain point, using longer blades becomes increasingly inefficient, and other strategies have to be used to increase the swept volume. An example would be the Spitfire, which went from 3 blades in early marks, to 4, 5, then a contrarotating 3+3 in the Mark XIX as the power of the engines increased over the production run. Also, it is worth noting that virtually all turbines have many compressor stages which turn on one shaft but have static blades (stators) between sets which provide the benefit of reducing the tangential flow without requiring high speed gearing. This provides nearly all the efficiency increase without adding the mechanical complexity of trying to spin each stage in opposite directions at the high RPMs of a turbine. Apart from the reasons stated above, there is another important one, specially valid for the Tu-95. The turbines of that plane are very powerful, the most powerful ever built. In order to convert that power in acceleration of a mass of air, you would need a very large and fast-spinning propeller, so large that the blade tips would surpass the velocity of sound. Thus, the only possible compromise for the giant turboprops of the Tu-95 was to fit each turbine with two large coaxial propellers, spinning in opposite directions. Even with this solution, the blade tips are supersonic, but not by much, and the propeller efficiency is good enough to propel the Tu-95 to speeds only slightly lower than its American jet-propelled counterpart, the B-52. The Tu-95, still flying today in the air forces of Russia, was a great technical success of the Soviet technicians. Why do these planes have four sets of counter-rotating props? Not torque compensation - they have four engines and can simply zero out torque by having two turning clockwise and two anti- clockwise. Counter-rotating props on fixed wing aircraft are a way to overcome the inherent limitations that propellors have in converting engine power into thrust. Propellor tip speed is the issue, once it reaches speed of sound a lot of engine power is required to overcome compressibility drag, and not useful in propelling the aircraft. So the disk size is limited, or the rotation speed of the blade. More blades help a bit if power is not the issue, but only a bit. More propellor disks help, but again only to a limit. 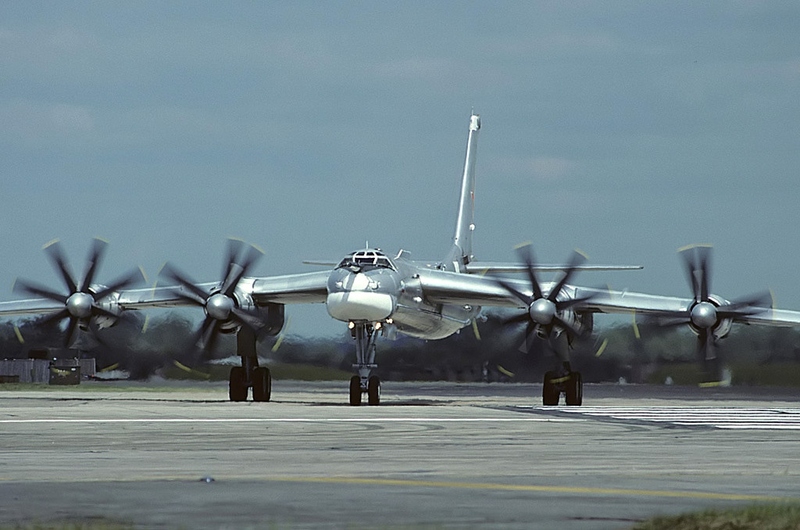 The Tu-94 had a similar operational mission to modern passenger jets: fly long range, close to the speed of sound. It first flew in 1952, a long time before high bypass turbofans existed: the jets of the time were wasteful with fuel, also a consideration in the design of the B52. While the US was working on more efficient turbofans, the USSR chose the other option: use two propellor disks. The second disk further accelerates air from the first disk. New user Sam posts: Seems like we need to take a look at the potential better efficiency of wind turbines. Indeed a counter rotating arrangement can extract more power from a given air flow, but at what cost? Is tip speed breaking the sound barrier really an issue with wind turbines? Does the counter-rotating arrangement cost less than simply constructing another complete generator? Not the answer you're looking for? 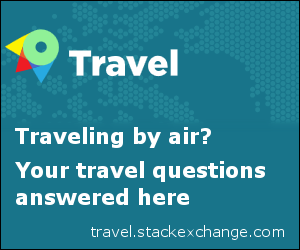 Browse other questions tagged aircraft-design propeller aircraft-systems turboprop or ask your own question. Do coaxial rotors provide twice the amount of lift? What is the difference between types of propeller? What are the factors considered while placing a propeller on a plane? What is this item on the nosewheel of the Sukhoi PAK-FA? Can a contra-rotating helicopter simply tilt its entire rotor set instead of using a cyclic? What do I need to know to design contra rotating propellers for a powered paraglider?